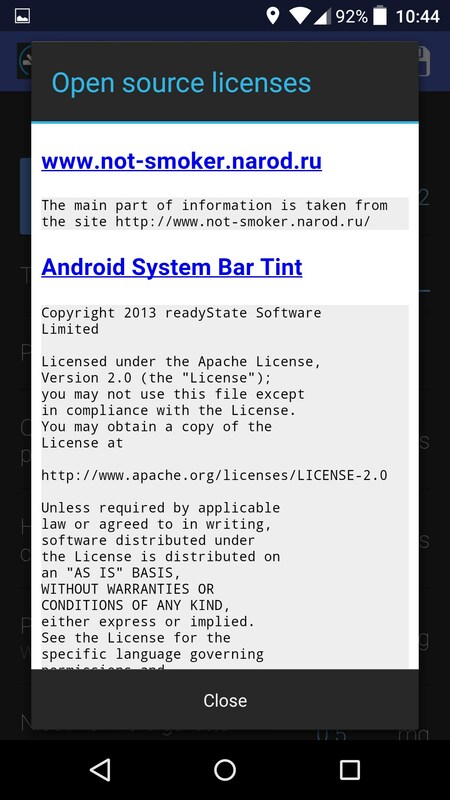 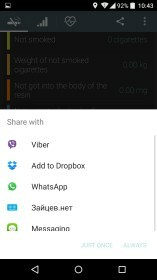 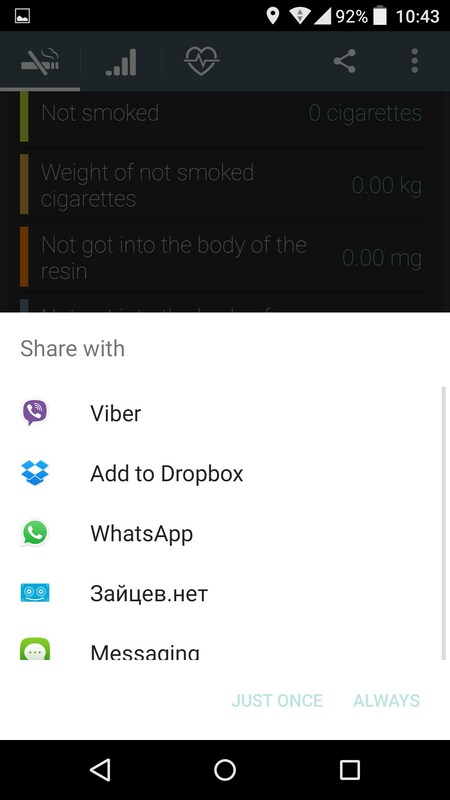 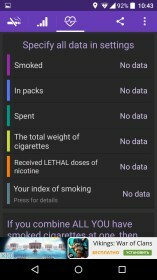 No smoking – Soft for Android 2018 – Free download. 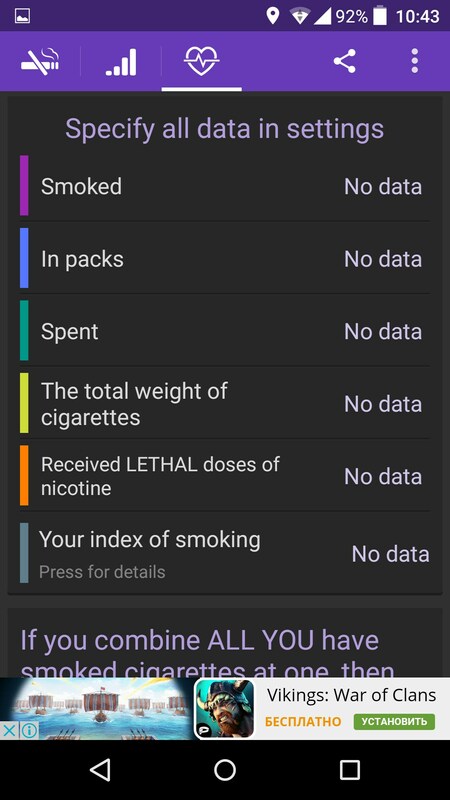 No smoking – A companion app for a smoke free lifestyle. 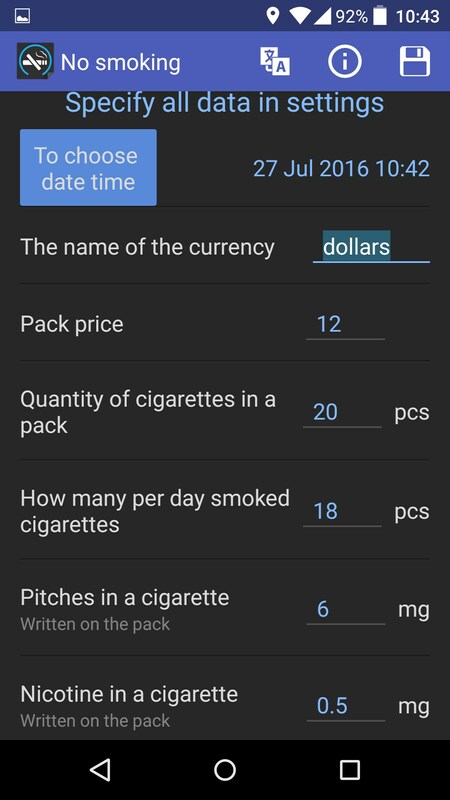 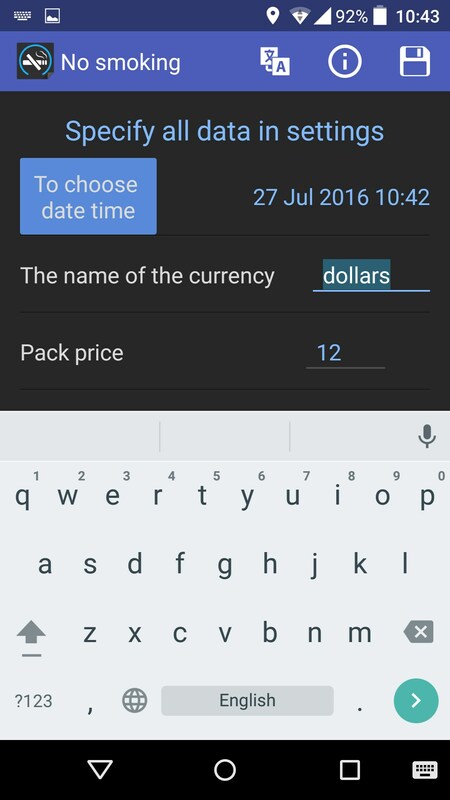 No smoking for Android is a small companion app that offers incentivizing statistics and information regarding the user’s smoking habit in order to motivate him to continue a smoke free lifestyle. 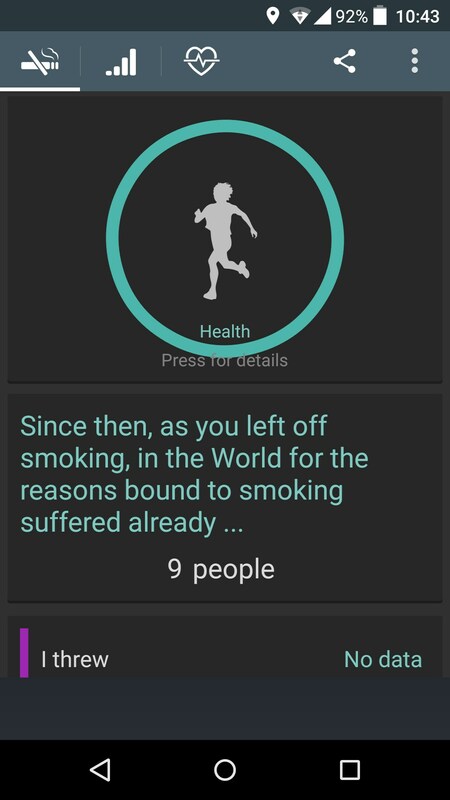 As the app cannot force the user to live healthier it attempts to convince him with statistics and collected data. 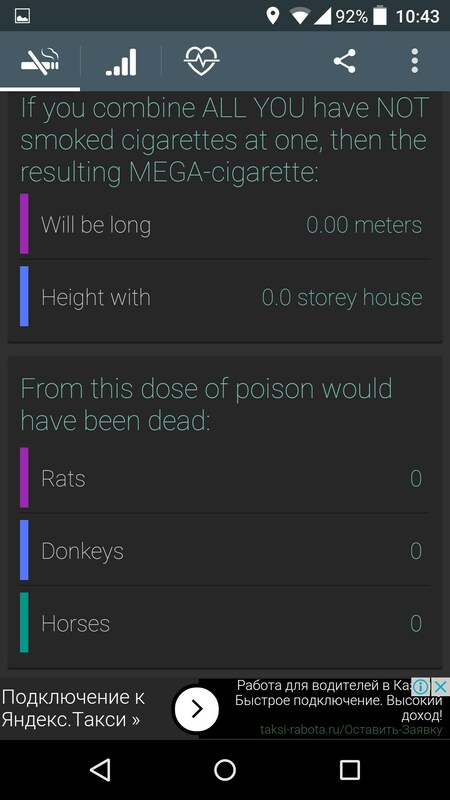 After a quick setup that involves inputting data such as the cost of a pack along with the amount of harmful components and the user’s smoking habits it will begin to indicate information such as the amount of money saved, the number of animals that the dose of poison would have killed and even displays what changes your body should be going through as it clears toxins from the body. 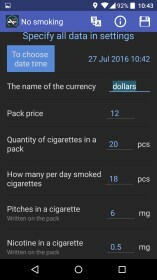 Additionally the app also indicates statistics regarding the user’s former smoker life in the form of the weight and total number of cigarettes smoked in addition to an index to show how critical it is to quit. 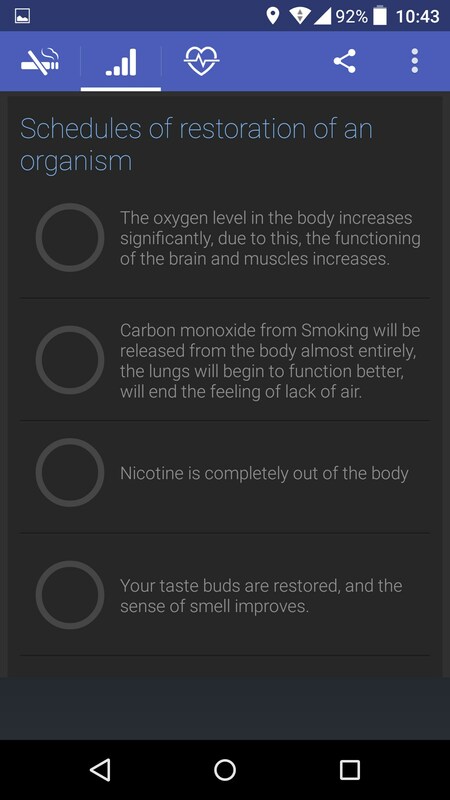 In its current form the app offers little utility and serves as nothing more than a constant reminder of how toxic your smoking lifestyle was and would have continued to be. 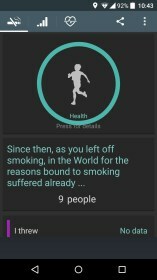 Small things like motivational notifications and tips could have done wonders for the app and user alike. 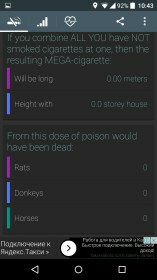 In addition to these the app could use some cleaning up as its interface is somewhat clunky and written in poor grammar. 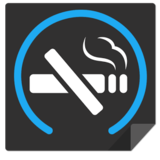 Overall No smoking is a marginally helpful app for those looking to quit their smoking lifestyle. 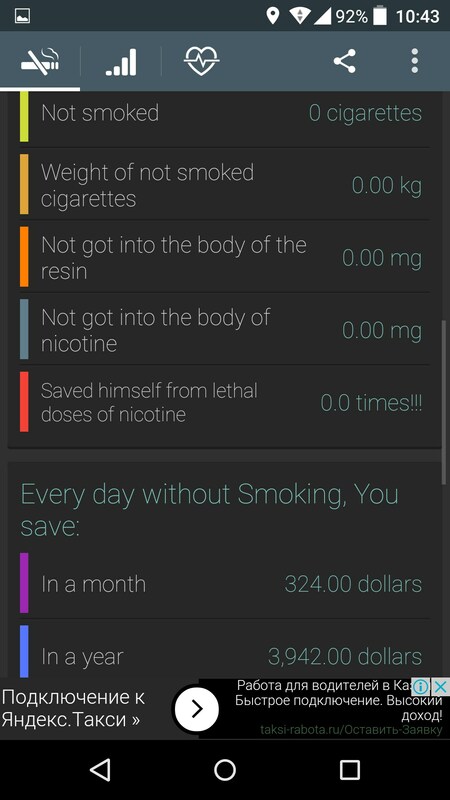 It may not be the best written, but it does deserve some merit as it pushes the user into a healthier, cleaner and longer life.